Restrictions is a powerful feature of Apple available in all iDevices by default. Restrictions add a powerful layer of security to your iDevice. You can use Restrictions for parental control purposes and make sure unauthorized access to certain apps and features is completely prevented. If you forget Restrictions passcode, you will need an iPhone Restrictions code remover. Why We Need iPhone Restriction Code Remover? As mentioned above, Restrictions allow you to prevent unauthorized access to your selected apps and features of the iDevice. Gaining access to those selected apps and features require you to provide Restrictions passcode. 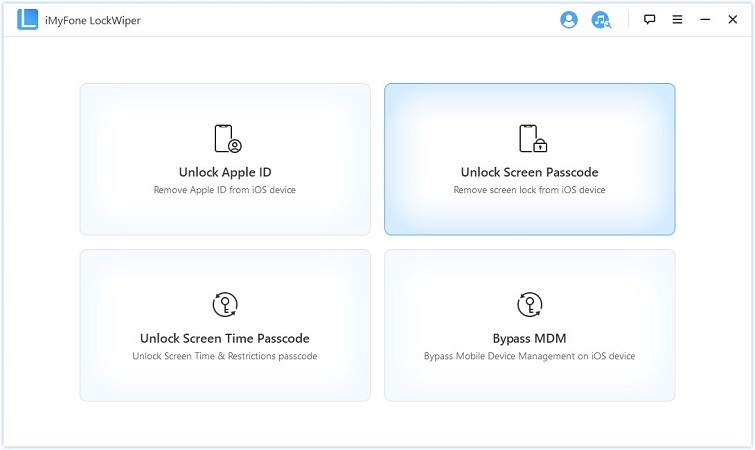 In case you forget the passcode, you will get into a big trouble because you won’t be able to access the unauthorized apps and features and you won’t be able to buy anything on your iDevice. So, you will need iPhone Restriction code remover in order to remove the Restrictions passcode and gain access to all features of your iDevice. When it comes to iPhone Restriction code removers, iMyFone LockWiper is the most recommended tool. This is the only tool you will ever need to remove Restriction code from any iDevice. 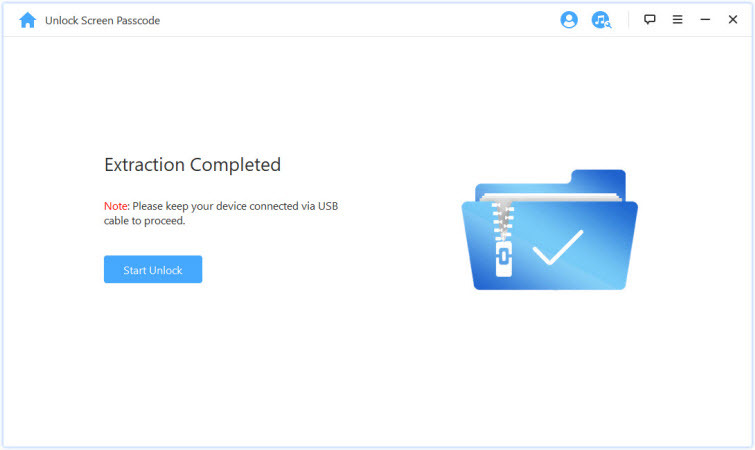 The reason LockWiper is highly recommended is because it is easy to use, fast, and highly efficient when it comes to removing Restrictions passcode. Apart from this, there are many other uses of this powerful tool. You can use LockWiper to remove Apple ID from any iDevice without password as well as bypass/remove any kind of lockscreen from any iDevice. Remove Restrictions code from any iDevice within just a few minutes. The removal of Apple ID via LockWiper is 100% safe as you will be able to use a new Apple ID in the device without any issues. Remove/bypass any type of screen lock from any iDevice. Wide range of screen lock types are supported, including 6-digit passcode, Face ID, 4-digit passcode, and Touch ID. 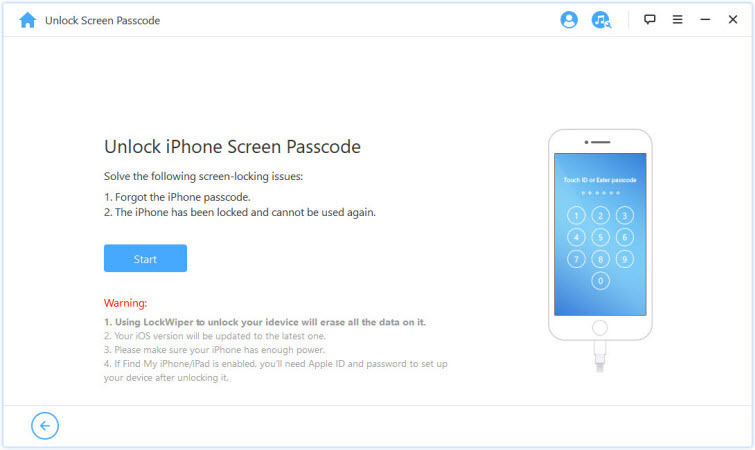 Using LockWiper to remove Apple ID or any screen lock from an iDevice is fast and easy. You will need to use Unlock Screen Passcode mode of LockWiper for this purpose as it also removes the Restrictions code. Step 1: Launch iMyFone LockWiper and connect your iPhone to your computer. Step 2: Click on Unlock Screen Passcode mode. It will be displayed on the home screen of the software. Step 3: On the next screen, click on the Start button to start the process. 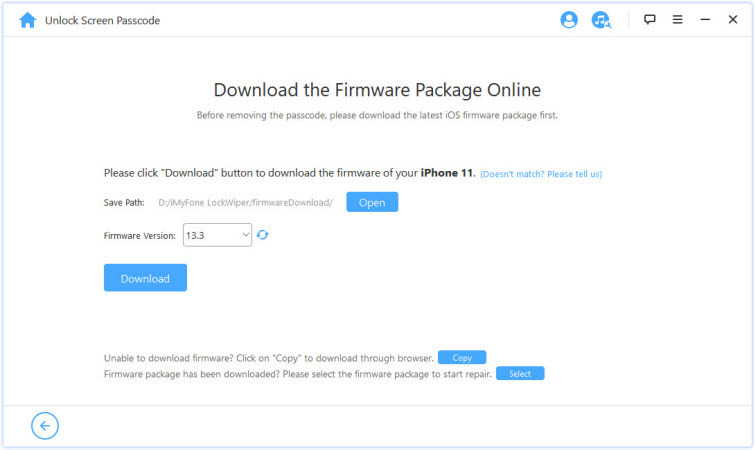 Step 4: Next, choose the firmware version shown and click on Download. Step 5: Once the firmware is downloaded and verified, click on Start to Extract option. Step 6: Now click on Start Unlock button and enter “000000”, LockWiper will start the Restriction code removal process. If you have backed up your data and don’t want to use any third-party tool to remove Restrictions passcode, then you can proceed to reset your iPhone. Factory reset will remove Restrictions passcode. Step 1: Connect your iPhone to your computer with a compatible USB cable. Step 2: Launch iTunes and select your iPhone on it. Step 3: Navigate to the Summary panel on iTunes and choose the Restore option. Step 4: Next, click on ‘Restore [your device]’ to confirm your action. iTunes will start the restoring process and your iPhone will be reset to its factory settings once the process is completed. If you cannot reset your iPhone to factory settings via the above-mentioned method, then it is recommended that you try to restore the device via the recovery mode. The process to do this is slightly different. You will need iTunes for this method. Step 1: Launch iTunes on your PC. Step 2: Connect your iPhone to your PC via a compatible lightning cable. Make sure the device is detected by iTunes. Step 3: Now you will need to open the recovery mode of your iPhone. The method to do this varies depending on the iPhone model. 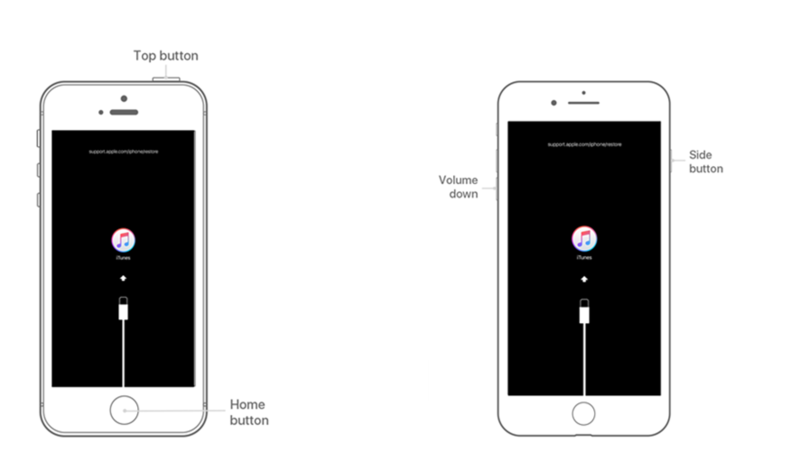 For example, if you have an iPhone 7/7 Plus, then you will need to press the Volume Down and Side buttons simultaneously and hold them until the recovery mode screen appears. Step 4: iTunes will detect that your iPhone is in recovery mode. Once you see the option to Restore or Update, use the Restore option to start the restoring process. 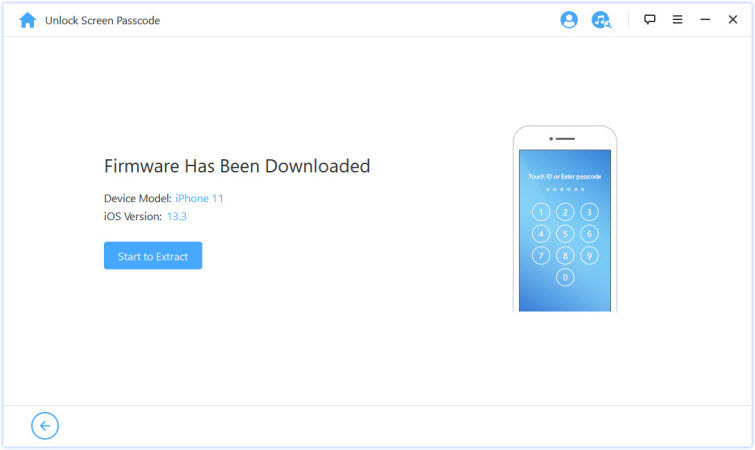 iTunes will download the firmware for your iPhone and install it. Your iPhone will automatically exit the recovery mode once the process is completed.